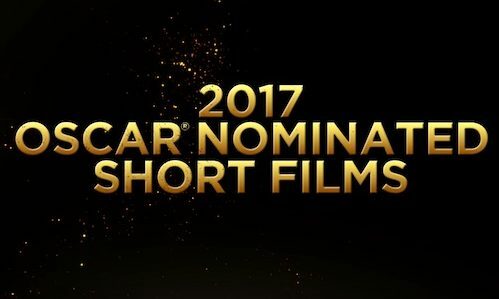 The Oscar Nominated Short Films will be screening from February 10 – March 29, 2017 from the categories of live-action, documentary and animation. Beginning February 10 at UICA, see the 2017 Oscar nominees for short film in the live-action, documentary and animation categories. A selection of films in each category will be screening in the UICA Movie Theater. See a diverse collection of films and predict the winners. The Oscar Nominated Short Films will be screening from February 10 – March 29, 2017. Admission is $4.00 for UICA Members and $8 for Public. A full list of films can be found at uica.org/movies. Synopsis: During a drive to donate musical instruments to public schools, 91-year-old Holocaust survivor Joseph Feingold offers his beloved violin, which he has played for more than 70 years. The instrument goes to the Bronx Global Learning Institute for Girls, where young musician Brianna Perez is inspired to become friends with her benefactor. Synopsis: At the Intensive Care Unit at Highland Hospital in Oakland, California, palliative care specialist Dr. Jessica Zitter treats terminally ill patients. As she and her team provide the best possible care, they try to help the patients and their loved ones make critical, often heartbreaking decisions. Synopsis: Kyriakos Papadopoulos, a captain in the Greek Coast Guard, is caught in the stuggle of refugees fleeing the Middle East and traveling the short distance from the coast of Turkey to the island of Lesbos. Despite having limited resources, the captain and his crew attempt to save lives during the immense humanitarian crisis. Synopsis: Four young children live with their mother and father, a Free Syrian Commander, in a war zone in Aleppo, Syria. After their father is captured by ISIS, the children flee with their mother to Goslar, Germany, in a years-long journey that will test them all as they try to find a safe home in a foreign country. Synopsis: In the chaos of war-torn Syria, unarmed and neutral civilian volunteers knows as "the white helmets" comb through the rubble after bombings to rescue survivors. Although they have already saved more than 60,000 lives since 2013, these brave first responders continue to place themselves in a danger every day. Synopsis: Vasyha is not like other young girls; she was born with one green eye and one brown eye. But her odd eyes aren’t the only thing that’s special about her gaze. Her left eye sees only the past. Her right, only the future. Like a terrible curse, Vaysha’s split vision prevents her from living in the present. Blinded by what was and tormented by what will be, she remains trapped between two irreconcilable temporalities. “Blind Vaysha,” they called her. Synopsis: A weathered Sheriff returns to the remains of an accident he has spent a lifetime trying to forget. With each step forward, the memories come flooding back. Faced with his mistake once again, he must find the strength to carry on. Synopsis: Drink and smoke...that's what Techno Stypes really like to do, and fight. He was in no condition to fight. He was sick, really sick. His disease had whittled him down to a shadow of his former self. He was crippled from a car accident when he was 17 but that’s not how he lost his big toe. He lost that in a motorbike accident, yeah he was broken alright..what the hell was he fighting for anyway and what was he still doing in China? His father had given me two clear instructions: 1. Get Techno to stop drinking long enough to receive the liver transplant, and 2. Get him back home to Vancouver. This was not going to be easy. Synopsis: Pearl follows a father and daughter on the road together, tracing his struggles to make it as a musician and parent, and her coming-of-age and musical journey to fulfillment. Synopsis: Directed by Alan Barillaro and produced by Marc Sondheimer, “Piper,” the new short from Pixar Animation Studios, tells the story of a hungry sandpiper hatchling who ventures from her nest for the first time to dig for food by the shoreline. The only problem is, the food is buried beneath the sand where scary waves roll up onto the shore. “Piper” debuted in theaters worldwide with “Finding Dory” in 2016. Synopsis: An interview at a local police station turns into an inquisition during which a French-Algerian born man sees himself accused of protecting the identities of possible terrorists. This close-up on France's troubled history with its former colonies has one man controlling the fate of another with the stroke of a pen during a turbulent period in the 1990s. Synopsis: Elise Lafontaine has a secret routine. Every morning and evening for many years, she has been waving at the express train that passes her house. One fateful day, she finds a letter from the train conductor in her garden and her lonely life is turned upside down. She engages in a promising correspondence through poetic and thoughtful letters where the two anonymous writers share their world with each other until the day the train line get's cancelled. The story is inspired by true events and stars César Award nominee Jane Birkin. Synopsis: Inger volunteers at a homeless shelter and falls in love with the illegal immigrant Kwame. Both live a hard life. Kwame finds comfort in Inger's arms, but says nothing about his family and children in Ghana. When his daughter becomes ill, he is forced to steal money from the homeless shelter to pay the hospital bill. Inger believe his lies about the theft and shows compassion. Kwame moves in with Inger and they are happy for a while, until the day when Kwame’s mobile phone reveals everything about his life in Ghana. 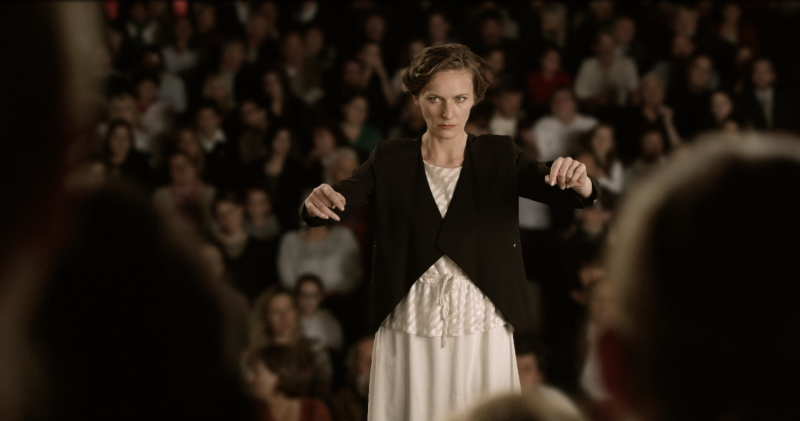 Synopsis: Zsofi is struggling to fit in at her new school - singing in the school’s famous choir is her only consolation, but the choir director may not be the inspirational teacher everyone thinks she is. It will take Zsofi and her new friend Liza to uncover the cruel truth. “Sing” is a childhood drama with a lot of music set in 1990s post-socialist Budapest, Hungary. Based on a true story, it follows an award-winning school choir and the new girl in class facing a tough choice: to stand up against a corrupt system - or to fit quietly into it. Synopsis: Luna and Diego are the parking lot security guards. Diego does the night shift, and Luna works by day.